Volcano Jess Phoenix is a geologist and co-founder of revolutionary environmental science nonprofit Blueprint Earth. Her scientific specialty is volcanoes and natural hazards. She is an elected Fellow in The Explorers Club. Jess has performed research around the world, and has worked on projects funded by the United States Geological Survey, National Geographic, Woods Hole Oceanographic Institution, the National Science Foundation, and more. As part of her mission to learn as much as possible about how the Earth works, Jess has done science in remote and dangerous environments. Her work has taken her to the mountains and jungles of South America, rural Mexico, the Hawaiian islands, the Australian Outback, the expanses of the American west, and remote parts of Africa. Jess is a strong advocate for "boots on the ground" science, believing that seeing things up close is the best way to understand them comprehensively. Volcano Jess is changing the way the world sees science, one curious mind at a time. Jess on an expedition to Ecuador. December, 2015. Photo by Nicholas Frend. 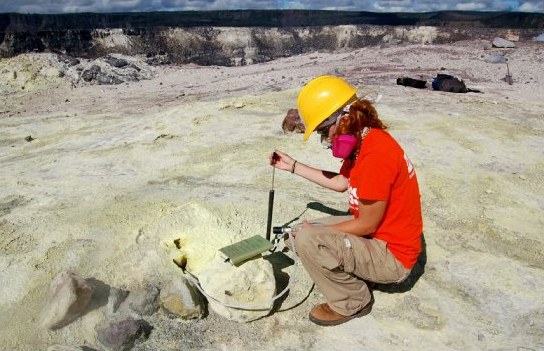 Volcano Jess is changing the way the world sees science.